The ATIBT is delighted to announce that Peter Latham, member of the ATIBT board, has been honoured with the TTJ Lifetime Achievement Award. The annual TTJ Lifetime Achievement Award rewards outstanding achievement in the timber sector. Now in its 22nd year, the TTJ Awards highlight the timber sector as a major, modern and forward-looking industry and recognize its achievements in areas that are vital to business success. Peter Latham OBE, who served as Chairman of James Latham from 2006 to 2017 and is currently the Chairman of PEFC International, received the Lifetime Achievement Award in recognition of his 44-year career in the industry. During his career, Peter has been Chairman of the Timber Trade FederationEnvironmental Committee, and a trustee and member of the Council of the Commonwealth Forestry Association. Peter joined James Latham PLC as the 7th generation of the family business in June 1973. 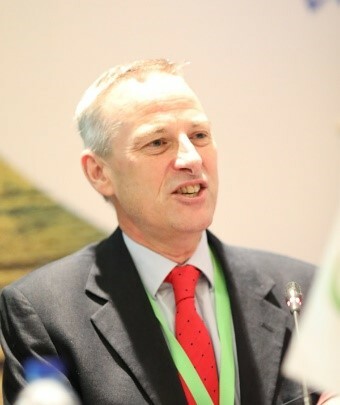 He has helped to develop and implement the UK Government’s timber procurement policy – Central Point on Timber (CPET) and has led several government-funded delegations to Africa, China and Asia, to better understand the issues surrounding illegally logged timber, and the environmental and economic damage. In 2012, Peter was awarded an OBE in the Queen’s New Year Honours list for services to the wood industry.